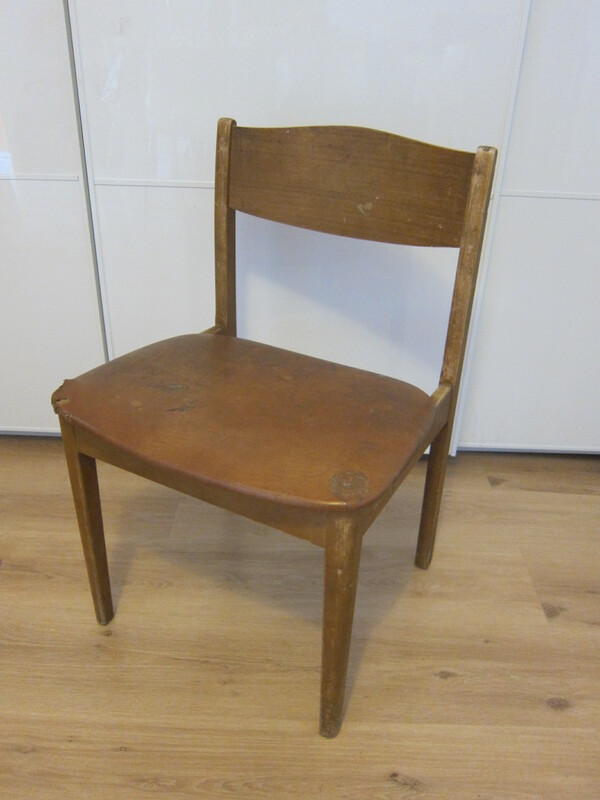 When I was looking for chairs to upcycle earlier in the month (see previous post ), I got given an old chair in need for love. I had just found the 2 chairs I needed and had no real need for a third one, but I still took it. It didn’t take me long to decide what to do with this chair. 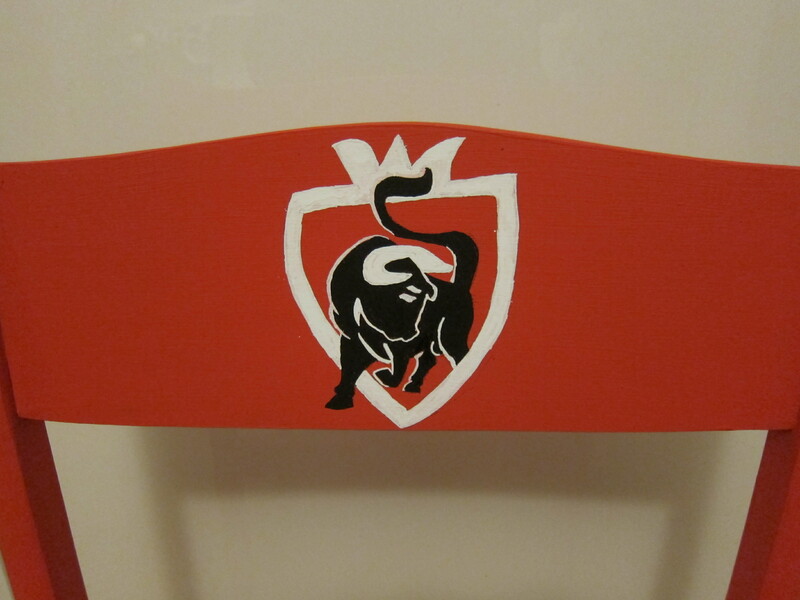 The boyfriend could have done with a spare one for his man cave/studio, so I was going to give it some love and make for him a unique chair. 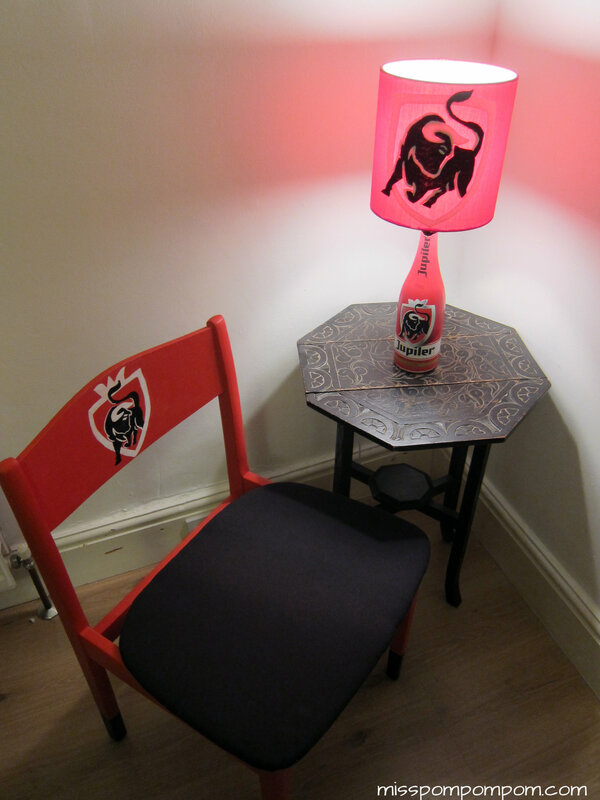 I first thought about making a music related one, but I finally decided to make a Jupiler (a Belgian beer) branded chair to go with the lamp I made him last year. 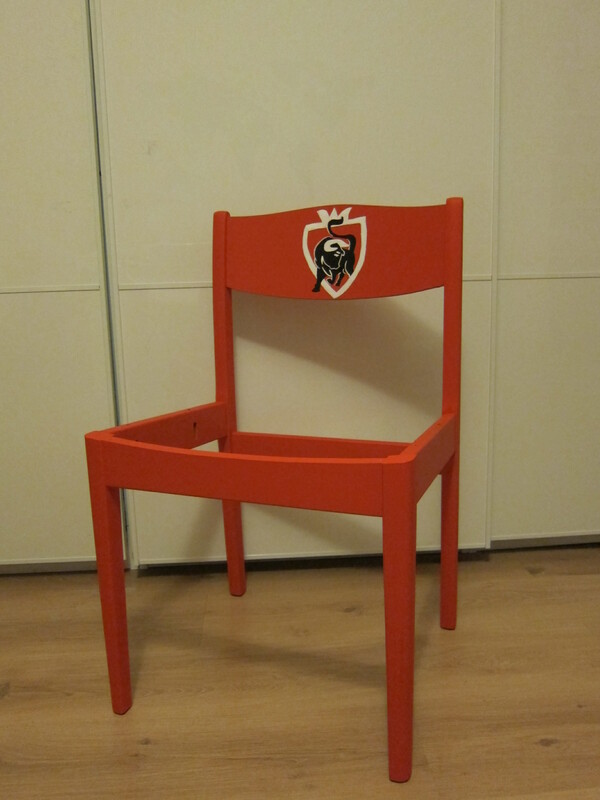 I sanded it, painted it, re-upholstered it, draw the Jupiler logo on it, painted part of the feet in black, and finally varnished it. 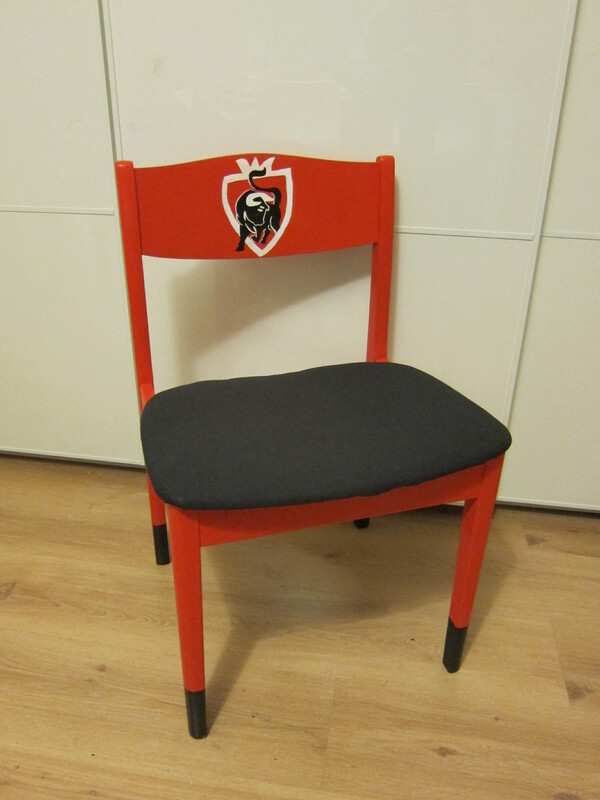 A quiet different incarnation for the old chair, don’t you think! 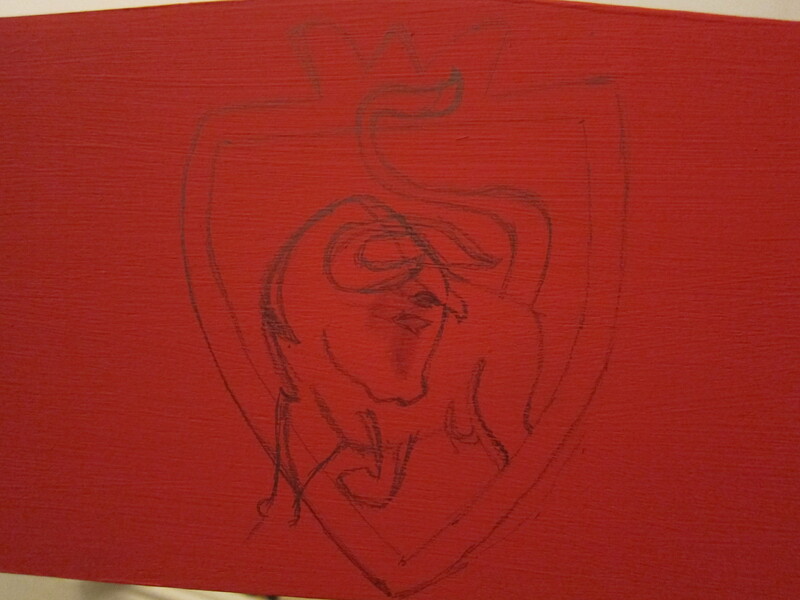 Now, any suggestions on what my next Jupiler related project should be?